In today’s blog, I will review the signing habits of the living members of the MLB Hall of Fame right fielders. 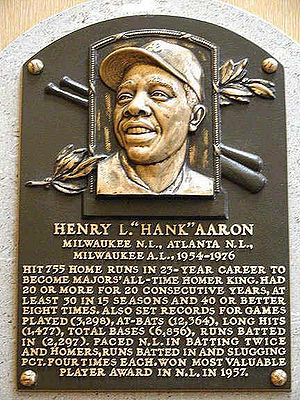 Hank Aaron, Braves – Hammering Hank is getting up there in years but is still a Hall of Famer when it comes to accommodating autograph collectors. He is quiet but basically very pleasant. I have obtained his signature many times over the years and he never disappoints. Tony Gwynn, Padres – When it comes to class, think of Tony Gwynn. Over the course of the last 25 years, I cannot remember how many times I have obtained his signature. He is remarkably patient with fans and is a great signer! Reggie Jackson, Yankees – It oftentimes seemed as though Mr. October would strike out or hit a home run. He is the same way when it comes to autographs. It is feast or famine with this man. He will either sign whatever you have and be very courteous or, he will say something rude and be a complete jerk. Al Kaline, Tigers – Mr. Tiger used to be one of the greatest signers in all of baseball. However, in recent years, he has become very challenging. In truth, I believe he really hates signing autographs. Most times, he just seem kind of a grumpy old man. Frank Robinson, Orioles – Robby used to be one the toughest of all the Hall of Fame players. He still isn’t easy but he will occasionally give a fan an autograph. The bottom line is that I would rather approach Frank Robinson than Al Kaline for an autograph any day. Dave Winfield, Yankees – He was a great player and is a great signer. He will almost always take time to sign for a fan. Mr. Winfield is a very nice guy and loves to chat it up with fans. I hope you enjoyed today’s blog. Please check out my on-line store at www.autographedfirstdaycovers.com. This entry was posted in Uncategorized and tagged A's, Al Kaline, Angels, Athletics, Baseball autographs, Blue Jays, Brewers, Dodgers, Giants, Indians, mlb, Padres, Tigers, Twins, Yankees. Bookmark the permalink.